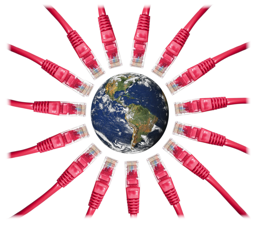 Network infrastructure makes use of many different technologies in both cabling and electronics. A neglected or poorly planned infrastructure can cause malfunctions or hinder network growth. CMI is experienced with most network media including optical, copper, microwave, and wireless. We install, terminate, and certify copper and optical cable plants and label them as well as provide printed documentation of the infrastructure. Our technicians can install and configure routers, bridges, gateways, modems, radios, switches, and more. When a new cabled infrastructure is installed we will test and document of each cable run (jack-to-jack) to make sure they will work correctly.